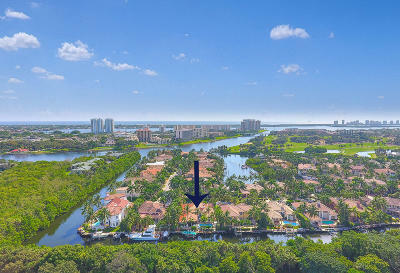 Harbour Isle is located on pristine South Hutchinson Island on the banks of the Indian River. The community is about an hour or 50 miles north of the Palm Beaches and 10 miles south of Vero Beach. With convenient access to both I-95 and Florida's Turnpike, Harbour Isle is ideally located to take advantage of all South and Central Florida attractions/amenities including Palm Beach International Airport and the Orlando Airport. Harbour Isle is legendary in the Florida real estate community-holding the distinction as the fastest selling community in Florida history: 864 residences sold within seven hours as thousands waited in line hoping their registration card number would be called in a dramatic lottery drawing on Saturday, November 22, 2003. Today, the community's lush landscaping is mature; the clubhouses, fitness centers, pools and tennis courts active with both retirees and young families. The marina docks are bristling with yachts from ports of call up and down the east coast. This special Florida barrier island is warmed by the Atlantic Ocean's Gulf Stream current in winter and cooled by tropical tradewinds in the summer. 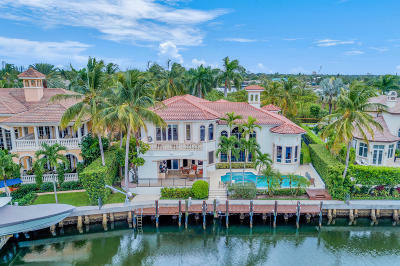 The Indian River separates Hutchinson Island with wide water views from historic Fort Pierce, a friendly town with a newly restored and colorful waterfront which lays claim to one of the best deep water inlets on Florida's east coast. The Harbour Isle Marina is on high-rise bridge and less than two miles by water from the Atlantic Ocean. Here you will find the perfect island retreat - far from the hustle and bustle of city life and locked forever in a world of natural beauty.